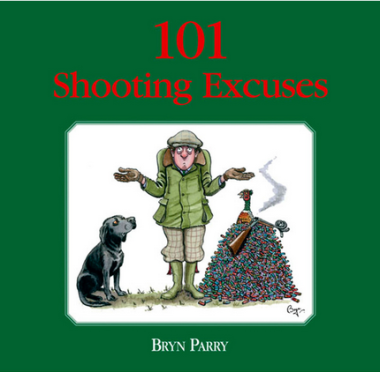 101 Shooting Excuses by Bryn Parry is a fantastic gift or stocking filler for any keen shot. This little book is the answer for any shot that misses from time to time and needs to explain why. "The bird swerved; I'm stiff from too much shooting; I'm missing intentionally to make them fly higher; her diamonds are making them flare" .... they are all here. Each of the 101 humorous excuses are wonderfully illustrated with Bryn's instantly recognisable cartoons.